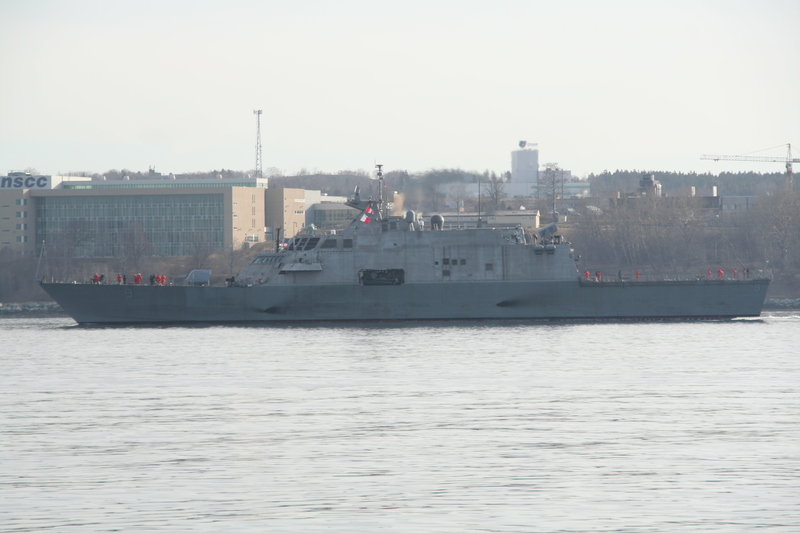 The Latest US Navy Littoral Combat ship finally arrived in Halifax this morning after wintering in Montreal. Built in the great Lakes, she was headed for open ocen in December when she had a small mechanical issue, and the ice set in. Previous LCS’s have all stopped in Halifax, and Historically have had eventful voyages out of the Lakes. This entry was posted in USN, visiting ship on April 3, 2018 by Peter.